If you are one of the increasing number of adults who are thinking about having their teeth straightened, you probably also want to have braces that aren’t going to result in a daily onslaught of personal comments, however well meant. If you live in Weybridge, Incognito could be the solution you are looking for to keep your dental treatment private. 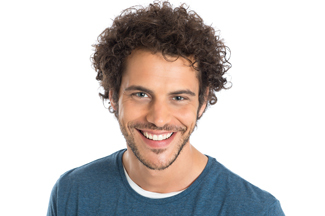 In Weybridge, Incognito braces are available from Weybridge Orthodontics, your local dental clinic that focusses on teeth straightening. Incognito is one of the many different systems we offer. This system fixes the braces onto the insides of the teeth, rather than on the front. This means that people cannot see them, and will not know you are wearing braces unless you wish them to. Incognito braces are the only braces system on the dental market today to be 100% customised to fit your teeth and dental requirements. The brackets are custom-made to hug the lingual (tongue) side of your teeth, and there is a bracket on each tooth. The arch wires and bonding trays are also made to your measurements and needs, making them comfortable to wear while delivering targeted results. Because Incognito braces are tucked away behind your teeth, you can carry on going on about your daily business without the self-consciousness that comes with other kinds of braces, and because they are permanently fixed to your teeth, you do not have to remove them to eat or to clean them. When you come to us at Weybridge Orthodontics for a consultation, we use 3D imaging technology to show you an accurate representation of how your teeth will look after treatment. We will also make a detailed and thorough examination of your mouth and teeth, taking precise and detailed measurements to ensure that your braces are a comfortable design and fit. Right now, in Weybridge, Incognito consultations are on special offer here at Weybridge Orthodontics, for just £35. And, if you make the decision to take up the treatment, and then refer a friend to us for treatment, we will give you £25. Why not give us a call today and make an appointment? This entry was posted in Incognito on 17th February, 2017 by Weybridge and Kingston. 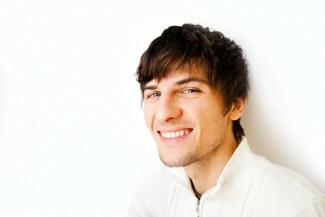 There are plenty of options that are available for teeth straightening in modern dentistry. At Weybridge Orthodontics, we make sure that we offer as many of these as possible to our patients so that, whatever your priorities are, you can choose something that fits in with your lifestyle. If your main concern is maintaining your standard of appearance while you have a teeth straightening treatment, then you might like to consider Incognito. 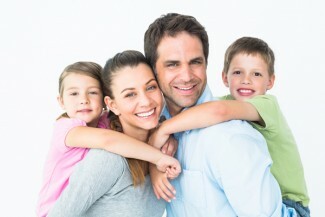 Weybridge Orthodontics carries this special brand of braces that offers the most discreet solution possible. Many brands claim to be almost invisible. However, if something goes over the front of your teeth then there will always be a possibility that someone will notice it. When you get Incognito in Weybridge, the braces are fitted to the backs of your teeth. No one will notice them because there is nothing on the front of your teeth to see. In all other ways, Incognito work the same as any other method. This is by applying pressure to the teeth in order to get them to gently move over time. All braces have the potential to cause discomfort. Shifting the teeth and bone of the mouth around in order to create a new order will create some sensations. These should be mild and easy to control with painkillers. Incognito braces will not interfere with your speech or tongue, though can take some getting used to at first as you adapt to the new shape of your mouth. Why do we offer Incognito in Weybridge? We want you be able to choose the solution that is right for you. Many dentists do not work with lingual braces because they can be difficult to adjust once they are fitted. However, we have skills and experience in this area and are confident we can offer you a safe and effective treatment. Book an initial consultation to discuss your options. We will be open with you about the benefits and challenges of all of our teeth straightening methods so that you can decide what works for you. After that, we will make a detailed plan with you and look forward to supporting you on your treatment journey. This entry was posted in Incognito on 6th January, 2017 by Weybridge and Kingston.